One of our beautiful angel sculptures highlighting a profound amount of character and love. 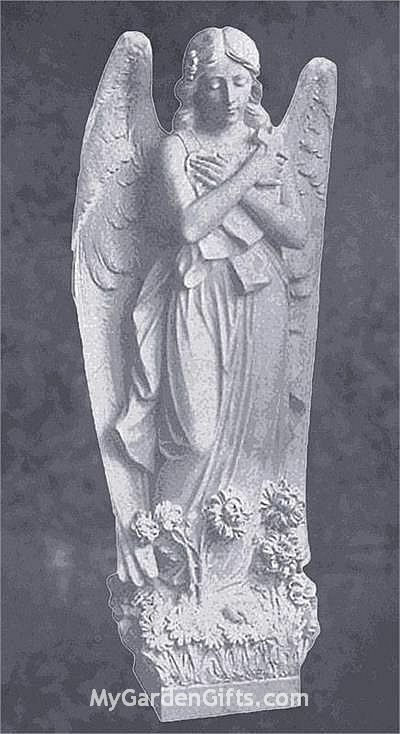 This angel comes in many sizes and she is seen here holding a cross dearly as she meditates in prayer. Created in white marble and is hand carved by artisans. Please email us your choice so we can quote you the freight. Our white marble sculpture comes beautiful and exquisite, a wonderful addition for a church, home or a school and even a hospital that celebrates the beauty of the Catholic faith. The sculpture offers fine features. No two sculptures will be the same. Hand carved pieces. Normally ships in 12-16 weeks. Please email for freight quote. 50% Non Refundable Deposit as this is a custom order. *Disclaimer - The image is a representation of the statue but the finished statue may not be an exact match to the one shown as each piece is crafted by hand. No two pieces will therefore be alike.